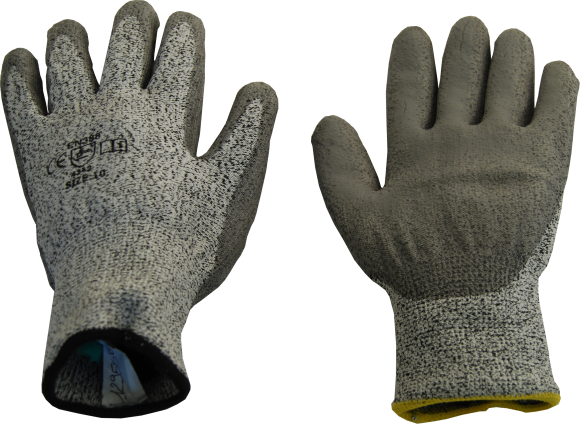 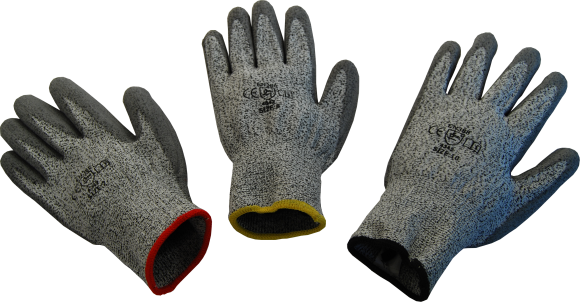 Grey knitted gloves with grey Polyurethane-coating on the inside and the fingers. 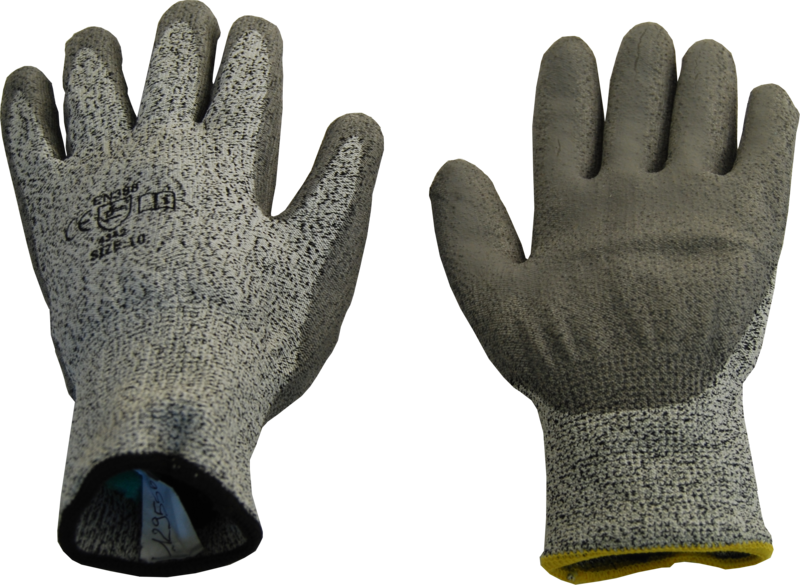 Back of the hand airtexed and elasticated wrist. 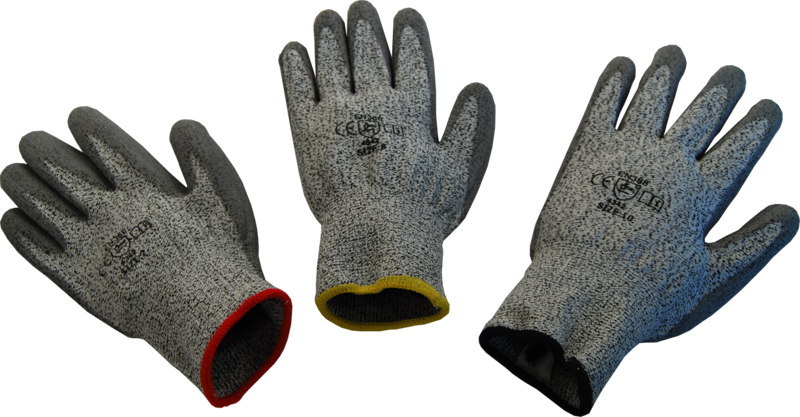 These gloves allow a good protection against abrasion and cuts.